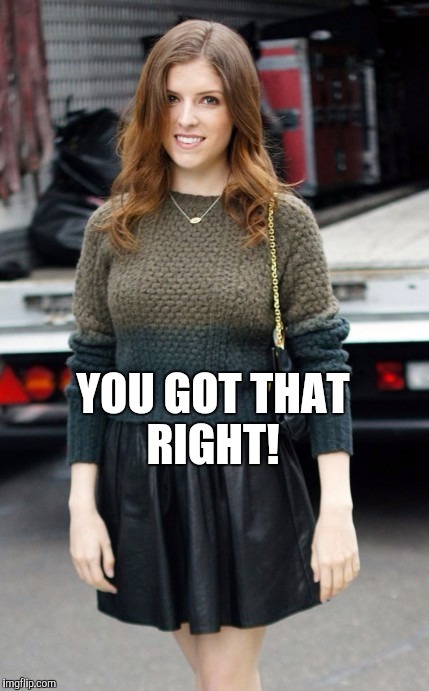 Even cheesy puns are good when Anna Kendrick tells them! Have you seen her in "Mr.Right"? 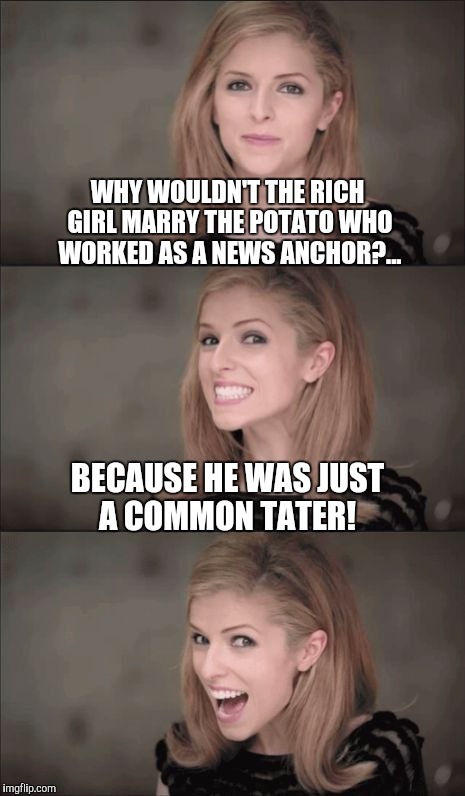 WHY WOULDN'T THE RICH GIRL MARRY THE POTATO WHO WORKED AS A NEWS ANCHOR?... BECAUSE HE WAS JUST A COMMON TATER!